If you’ve ever been to a traditional family farm you might have noticed a number of buildings and spaces, each designated with a specific purpose. There’d be the main farm house serving as the family living quarters, an exterior chicken coop, pig pin, fields for crops and maybe a few cows. Another building might also be found on the grounds to shelter the animal feed, tractors and plowing equipment. Call it a multi-faceted farm complex designed to sustain a family and serve the surrounding community. 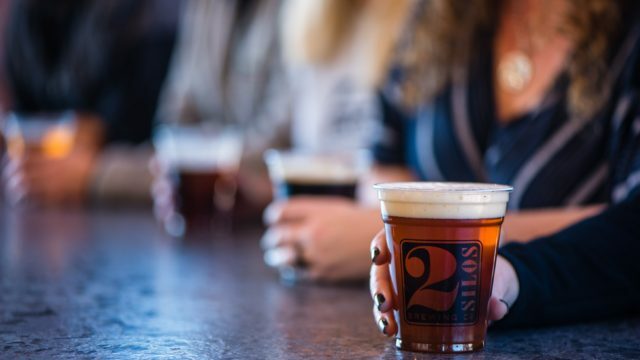 Similarly, when the ownership team of 2 Silos Brewing Company conceptualized what their rural Manassas, Virginia brewery should look like the idea of creating a “campus” to service a multi-faceted set of potential needs took shape. “It really started with an idea to do something different for the state,” said Two Silos co-founder and brewmaster Forrest Morgan. “Not that there’s anything wrong with being a brewery in a warehouse, but we wanted to do something that was just different – a place where you can spread out and bring the family. “It didn’t happen on the first try either. There were quite a few design iterations. It kept growing. 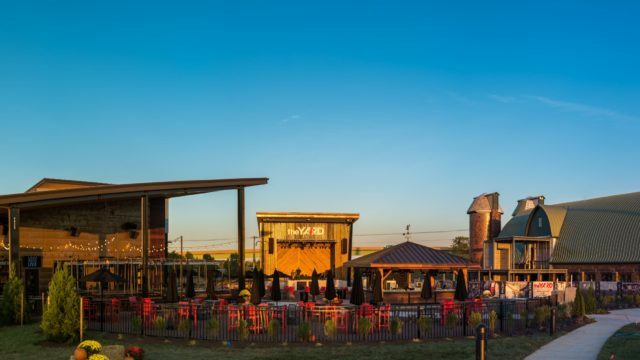 The result is Farm Brew LIVE, which is anchored by Two Silos Brewing Company’s production brewery, The Pour House (tasting room, bistro), an outdoor concert stage and grounds. Phase two of Farm Brew LIVE will open The Great Hall Event Pavilion in early 2018. The final phase will be completed in Spring 2018 to include the renovated Thomasson’s Barn that will open as The Black Sheep whiskey + wine + noshery and employ another 100 local residents. The Barn will also feature a pair of underground dining rooms. From the outside, the “campus” is easily identifiable with its – you guessed it – two silos. It is a converted structure originally known as the Thomasson’s Barn, a 1929 dairy farm barn that had been vacant for over 40 years. The barn was built on land that was originally cultivated by corn fields and owned by L.J. Hornbaker. Hornbaker sold off 39 ½ acres to William T. Thomasson in 1905. Thomasson was a wheat and corn farmer. He eventually saved enough money to buy a Holstein Bull to begin Dairy Farming. In 1929 Thomasson built the two-story barn for his dairy farm out of terra cotta blocks. The blocks were finished with a rough finish to resemble bricks. The barn still consists of the terra cotta blocks. The principle 2 Silos Brewing Company team is comprised of Forrest Morgan, along with Marcus Silva (Chairman), Erica Davidson (Quality Assurance), Bill McHugh (Brewer), Joe Ortega (Director of Operations), Meredith Arnest (Director of Brand Development), Clarice Lelle (Director of Events and Sales), Vanessa Tewilliager (General Manager of The Pour House) and Nelson Garcia (Head Sous Chef). The management team has hospitality top of mind as it is associated with Villagio Hospitality Group. 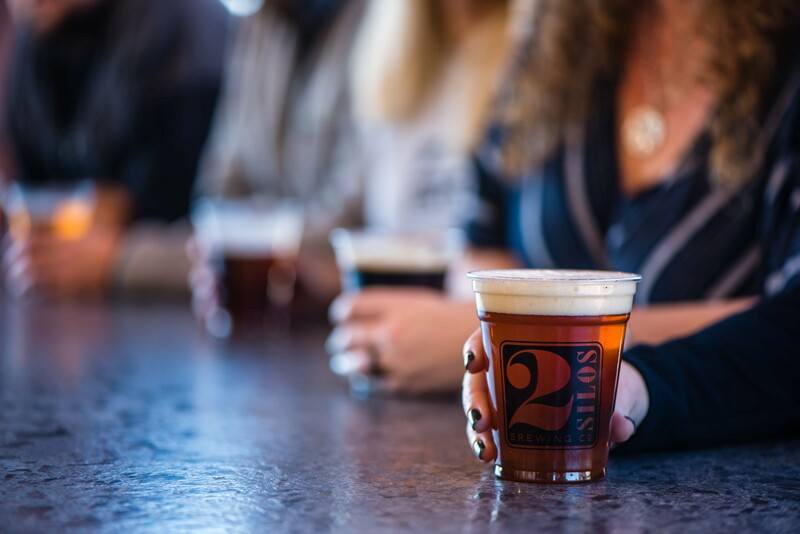 This element sets 2 Silos apart from most other upstart breweries. In fact, Arnest has 20 years of experience in the field, having cut her teeth at Richmond’s Legend Brewing Company and then at Gaylord National Resort & Convention Center – home of the Grand Ol’ Opry – in Nashville. Indeed, beer, food and music are essential ingredients to Farm Brew LIVE. The Yard outdoor music stage will feature many local and regional musicians and can accommodate up to 1,200 guests. The Yard also includes The Pit, an outdoor bar serving both beer and BBQ. Out of the gate, 2 Silos Brewing Company’s flagship beers are as follows: Cream Ale, Black IPA, Imperial Stout, Pale Ale and Belgian White. 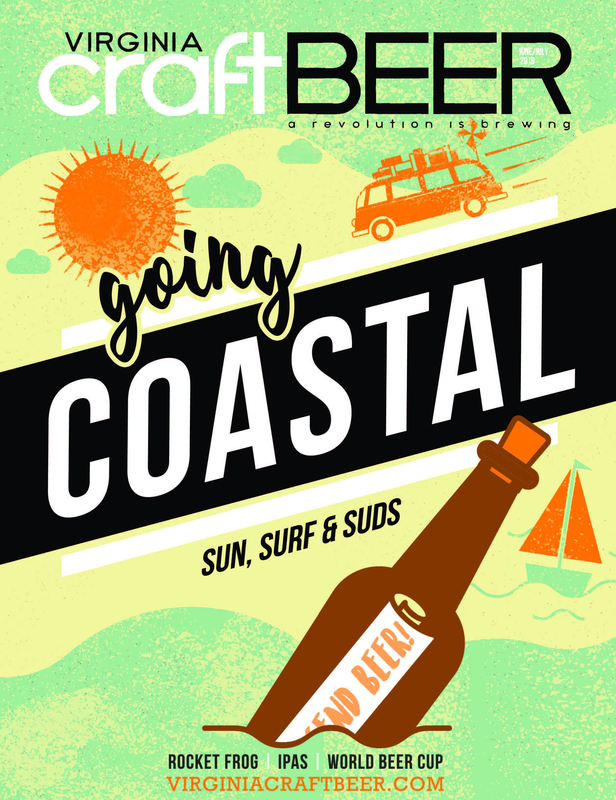 “The Cream Ale, to me, is something that’s not represented enough in this area of the country,” said Morgan when explaining why he chose the starting lineup of beers. 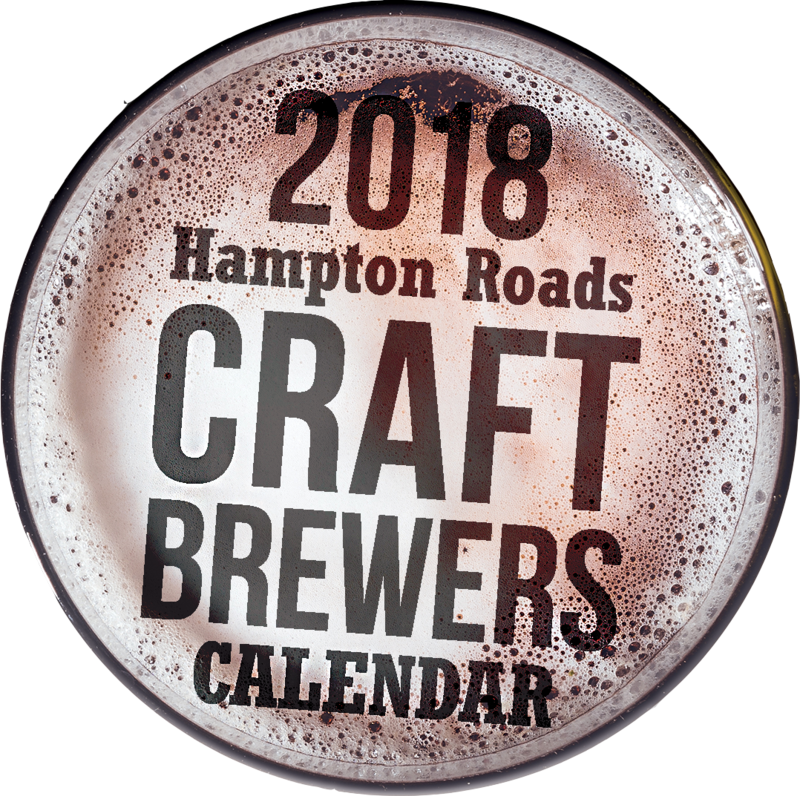 “I think Hardywood is really the only other brewery doing a year-round cream ale. If you go up to New England or the Midwest and they are everywhere. We put our twist on it and tied it into the history of our site – the Thomasson Barn – by using milk sugars. For the Belgian White, Morgan broke from tradition by drop-hopping it. Morgan is working on a barrel-aged reserve series for the one-year anniversary. The bourbon barrels are from a local distillery, Smith Bowman Distillery, in Fredericksburg. Erica and Forrest are researching possibly harvesting wild yeast from the site of the Thomasson’s barn to consider using in a recipe. The anniversary beer will be called The Silo-bration and released on October 25, 2018. In addition to the core brands and upcoming barrel-aged releases, 2 Silos will rotate seasonals such as Gingerbread Ale, Coffee Stout, Blueberry Wheat, Dunkleweizen Dobblebock, Pumpkin Ale, Porter, and the 1776 Ale. The 1776 Ale will be considered a historical beer. Morgan will incorporate into the recipe ingredients used in ales during the time of the Founding Fathers. 2 Silos plans to use some ingredients harvest on its property. A portion of land around the primary yard will be used for growing hops. Each hop plant was hand-planted by Forrest Morgan and his team and they also planted clover as ground cover to deter deer. The support structure is built of steel piping and the twine that the hops grow up is made from coconut husk. It’s biodegradable and will be used in the compost in the hops fields. There will also be a field called the Chef & Brewers Garden for plants used directly in the development of 2 Silos beer recipes as well as support Chef specials throughout the campus. The only thing missing from Farm Brew LIVE is a lodging, but who knows? It’s a great experience for the whole family and a unique all-in-one destination to spend a few hours.